“Until he extends his circle of compassion to include all living things, man will not himself find peace.” ~ Albert Schweitzer 1. 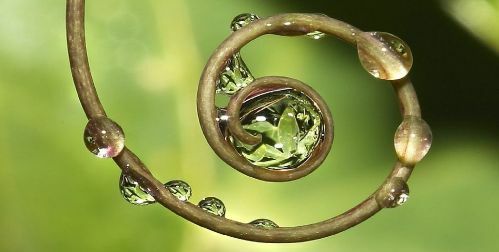 Acceptance and practice of the philosophy of the interconnection and interrelation among all living and sentient beings. “A man is ethical only when life, as such, is sacred to him, that of plants and animals as that of his fellow men, and when he devotes himself helpfully to all life that is in need of help.” ~Albert Schweitzer 2. Strive to live a life of understanding that the ultimate code of ethics is a mirror of the reverence for Life. “Think occasionally of the suffering of which you spare yourself the sight.” ~ Albert Schweitzer 3. Comprehend that “suffering” may be one of the learning courses proper of Earth School, but it can be avoided through an increase in conscious awareness. “The first step in the evolution of ethics is a sense of solidarity with other human beings.” ~ Albert Schweitzer 4. The practice of intentional compassionate actions that consciously includes the emphasis on correct relationships between all beings. “The purpose of human life is to serve and to show compassion and the will to help others.” ~ Albert Schweitzer 5. The understanding that one of the most dignified qualities of the human being is expressed though the inherent will to help others. “A man is truly ethical only when he obeys the compulsion to help all life which he is able to assist, and shrinks from injuring anything that lives.” ~ Albert Schweitzer 6. Realize that every act committed by you has a ripple effect on the web of life you directly and indirectly participate in. The quality of your intention can contribute to the betterment of the quality of life of all beings on the planet. “Example is not the main thing in influencing others. It is the only thing.” ~Albert Schweitzer 7. Embrace the commitment to teach others, leading by example, standing as a role model and a guiding light for all future generations. “Ethics is the activity of man directed to secure the inner perfection of his own personality.” ~ Albert Schweitzer 8. Recognize that your own perfection and spiritual evolution is inevitably connected with the well-being of others. As we perfect ourselves as ethical humans, we shift the standards of spiritual and social success. “You must give some time to your fellow men. Even if it’s a little thing, do something for others – something for which you get no pay but the privilege of doing it.” ~Albert Schweitzer 9. Know that the gentleness of your soul can be felt, and is expressed through small but significant acts of Kindness, such as compassionate acts of selfless service. “Humanitarianism consists in never sacrificing a human being to a purpose” ~Albert Schweitzer 10. Guide yourself by a high ethical and moral standard of behavior, understanding and promoting the value of life; not accepting to bargain with, or disregard, humanitarian values over any merchandise consumerism, political influence, social/cultural and racial power or self-interest. “We cannot possibly let ourselves get frozen into regarding everyone we do not know as an absolute stranger.” ~ Albert Schweitzer 11. The commitment to use tools of peaceful resolution and dialogue, promoting a marketing of understanding and correct speech. “I can do no other than be reverent before everything that is called life. I can do no other than to have compassion for all that is called life. That is the beginning and the foundation of all ethics.” ~ Albert Schweitzer 12. Seek out sustainable solutions that maintain or restores the dignity of individual human beings, their communities and the entire environment. The objective of developing an ethical lifestyle is to raise another up, not make them dependent upon others.